Don’t perform screening for cervical cancer in low-risk women aged 65 years or older and in women who have had a total hysterectomy for benign disease. Health care professionals should not perform cervical cancer screening in women who have had a hysterectomy that removed their cervix and do not have a history of high-grade precancerous lesions or cervical cancer. Screening provides no benefits to these patients and may subject them to potential risks from false-positive results; including physical (e.g., vaginal bleeding from biopsies) or psychological (e.g., anxiety). In addition, cervical cancer screening should not be performed on women over the age of 65 that are at low risk for cervical cancer and have had negative results from prior screenings. Health care professionals should make this decision on a case-by-case basis, but once a patient stops receiving screenings, in general, they should not re-start screenings. Screening for women in this population provides little to no benefit as the incidence and prevalence of cervical disease declines for women starting at age 40–50 years. 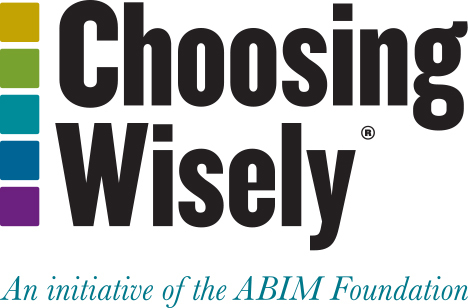 The American College of Preventive Medicine (ACPM) Prevention Practice Committee (PPC), responsible for practice guidelines and statements from the College, created a Choosing Wisely task force to lead the development of these recommendations. Task force members consist of select PPC members and additional ACPM members solicited through ACPM’s bi-weekly e-newsletter, Headlines. Each task force member individually developed 2-3 recommendations and the top ten were selected using an electronic survey by the entire task force. Subsequently, the ten recommendations were prioritized by the task force and rationales with references were produced. These recommendations were presented to the entire PPC for consideration and prioritization of the top five. The top recommendations were selected and rationales revised and presented to the ACPM Board of Regents for final approval. ACPM’s disclosure and COI procedures can be found at www.acpm.org. Moyer; U.S. Preventive Services Task Force. Screening for cervical cancer: U.S. Preventive Services Task Force recommendation statement. Ann Intern Med. 2012 Jun 19;156(12):880-91, W312. Saslow D, Solomon D, Lawson HW, Killackey M, Kulasingam SL, Cain J, Garcia FA, Moriarty AT, Waxman AG, Wilbur DC, Wentzensen N, Downs LS Jr, Spitzer M, Moscicki AB, Franco EL, Stoler MH, Schiffman M, Castle PE, Myers ER; ACS-ASCCP-ASCP Cervical Cancer Guideline Committee. American Cancer Society, American Society for Colposcopy and Cervical Pathology, and American Society for Clinical Pathology screening guidelines for the prevention and early detection of cervical cancer. CA Cancer J Clin. 2012 May-Jun;62(3):147-72.